A remake of a 1954 Billy Wilder romance, this updated version of the play Sabrina Fair was directed by Sydney Pollack. Julia Ormond stars as Sabrina Fairchild, the daughter of a kindly chauffeur (John Wood) at the Long Island estate of the upper-crust Larrabee family. 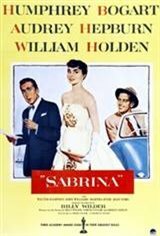 Sabrina has grown up enchanted from afar with the Larrabees' sparkling world of privilege and wealth, but she's especially enamored of younger Larrabee brother David (Greg Kinnear), a charming womanizer. After the once-plain Sabrina returns from a sojourn in Paris transformed into a remarkably poised and attractive young woman, she at long last catches David's eye. In a calculated effort to manipulate David away from her and into a more financially advantageous marriage, older brother Linus (Harrison Ford) pretends to woo Sabrina himself, but finds himself unintentionally falling in love.